I realised last week that I never did a blog post about our weekend at Theakstons Crime at Harrogate in July so I figured I’d do up a little post about it now that I am getting back to blogging! I had never been to Harrogate, but I used to spend the weekend glued to Twitter watching everyone else’s experiences when it was on in previous years. So when last year’s one was done, I immediately booked the weekend for me and my husband to go it this year, and it was the BEST weekend! I genuinely can’t name everyone that I met, because the weekend is just a blur of people and books, but EVERYONE was so lovely. It was really nice to be able to put faces to names (or Twitter handles) as well after chatting online with them for the past few years. Lee Child was the programme chair, and I am a HUGE LC fan, so I essentially lost my mind every time I saw him. It was impossible not to feel starstruck to be honest, and the great thing is, he’s actually a really nice man. Which made asking him for a photo that little bit easier, even though I am screaming inside! I was also lucky enough to get a proof of Past Tense, the next Reacher novel! I didn’t feel like we missed anything by not going to all the panels, and to be honest, we spent the majority of the time outside or in the tents catching up with various authors, bloggers and publishing people. This was a great opportunity to chat with people and do a little author stalking too because I may never get the chance to meet them again. I hope I do, obviously, but you never know! One of the absolute highlights of the weekend was FINALLY getting to meet Ellen Devonport. Yes, you read that right, I had never actually met Ellen until Harrogate this year, even thought we’ve been online friends for years!!! There was a lot to take in at Harrogate, a lot of books, a lot of activity, and plenty of banter! My husband had a great time too, beer tents are his fave, and I’ll never forget him taking Ellen’s phone and going up to loads of authors and taking photos with them for her to see when she came back! He even snagged Val McDermid! VAL MCDERMID!!! It was a great weekend. I’d highly recommend it if you like crime fiction, and even if not, because it is just loads of fun. I can’t condense it all into this post because there were so many great moments, and memories to last a lifetime. I can’t wait to do it all again next year…. 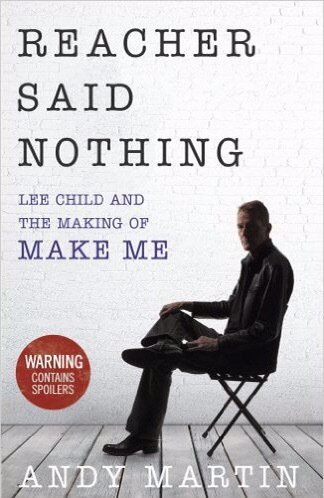 Make Me is the latest Jack Reacher novel (I say latest, September 2015!) and it’s been on my TBR since it was released. I just haven’t gotten to it. This week I decided to cheat on my TBR and start sneaking in some of my own purchases for reading and my first port of call had to be Reacher! I started this on Wednesday night,and finished it last night (Thursday) because I just couldn’t stop reading it! As is often the case with Lee Child’s books for me! 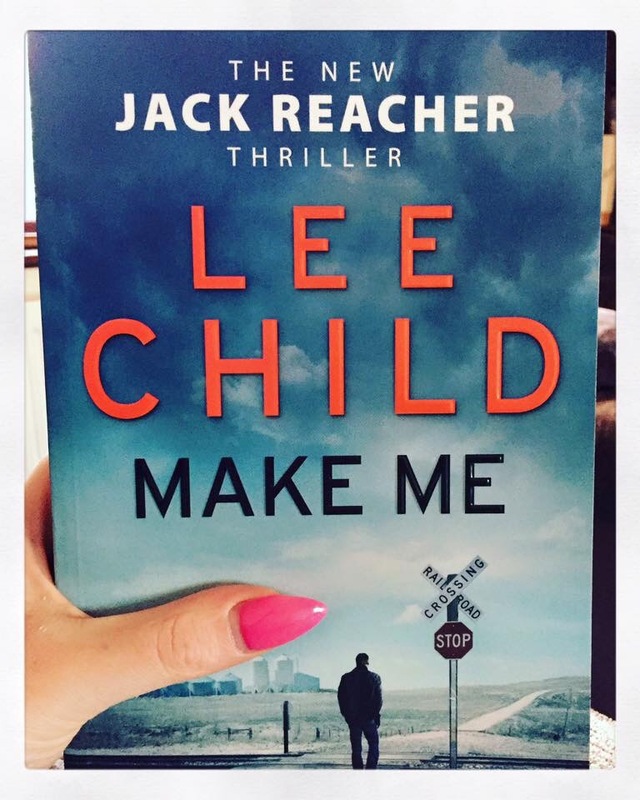 Make Me is classic Reacher. As usual, he’s travelling with no real destination and all the time in the world! Reacher ends up in Mother’s Rest, and tried to find out how the tiny place got its name, but nobody will tell him. Meeting Chang however, sparks something in him, and they team up to try and find Chang’s missing partner. What ensues is a cross country search, with plenty of action thrown in for good measure! There are plenty of unsavoury characters, and shady goings on in Make Me. These are what draw the reader in, and keep them reading. 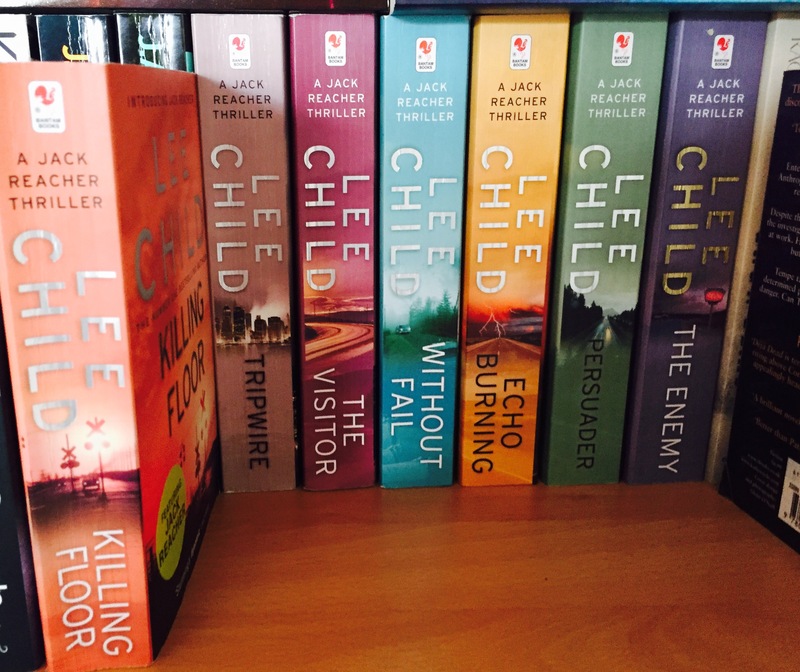 As usual Reacher manages to walk into trouble at every opportunity, rarely looking the other way. With Chang at his side, they make a formidable team in searching for her missing partner. I don’t want to say any more about the plot, because if I’m honest, it is not what I was expecting AT ALL!!! Sufficed to say, Child has once again written a brilliant Reacher novel and in all honesty, possible one of my favourites of the series, purely for the unexpected route the story took.